Pay Governance’s most recent study of S&P 500 CEOs continues to confirm the strong alignment between realizable pay levels and shareholder returns. CEOs leading high performing companies can potentially earn 80% more realizable TDC than counterparts at low performing companies. Typical CEO at a high performing company has an aggregate of $47.2M in realizable TDC from pay awarded from 2012 to 2014 compared to $26.2M for low performing counterparts. High performing companies have a median annualized three-year TSR of 30% compared to 16% at low performing companies and 23% across the entire sample. Findings also suggest that Compensation Committees may be modestly incorporating recent performance when setting pay opportunity, but the dominant factor continues to be competitive pay levels established by external benchmarking. The number of methods for defining “CEO pay” when analyzing executive compensation continues to grow. From total pay suggested by the summary compensation table to the definitions used by Glass Lewis or Institutional Shareholder Services (ISS) in their proxy review reports, there is no universal standard for measuring pay, especially in comparison to performance. The SEC has proposed yet another definition with their “compensation actually paid” concept for the upcoming pay for performance tabular disclosure requirement. As proposed, this new approach differs even from all current SEC regulations around pay disclosure. Varying definitions have helped confuse the debate of whether pay is aligned with performance. 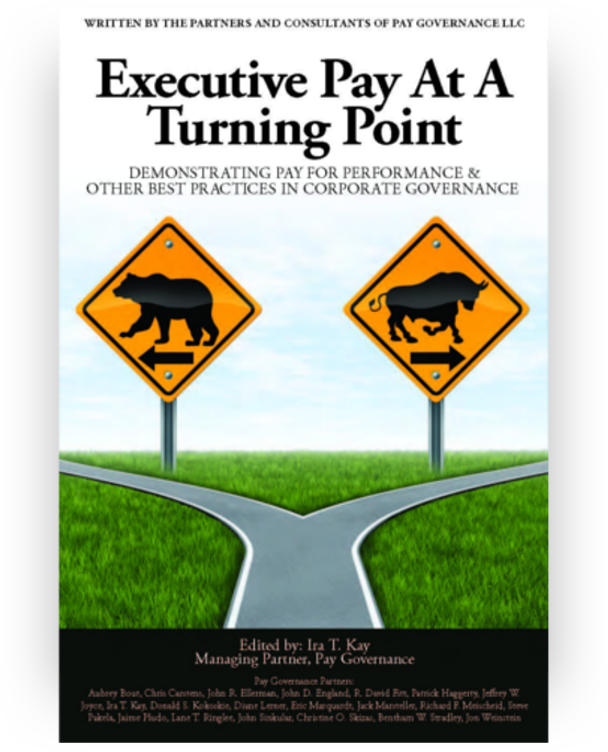 To add clarity, Pay Governance uses two primary definitions in its studies of executive pay – (i) target pay opportunity in assessing competitiveness and (ii) realizable pay for assessing pay and performance alignment. We have studied realizable pay in relation to company performance hundreds of times for our clients’ peer groups as well as more broadly in our various research studies. We consistently find that, using realizable pay, higher paid CEOs are associated with higher performing companies, and lower paid CEOs are associated with lower performing companies. 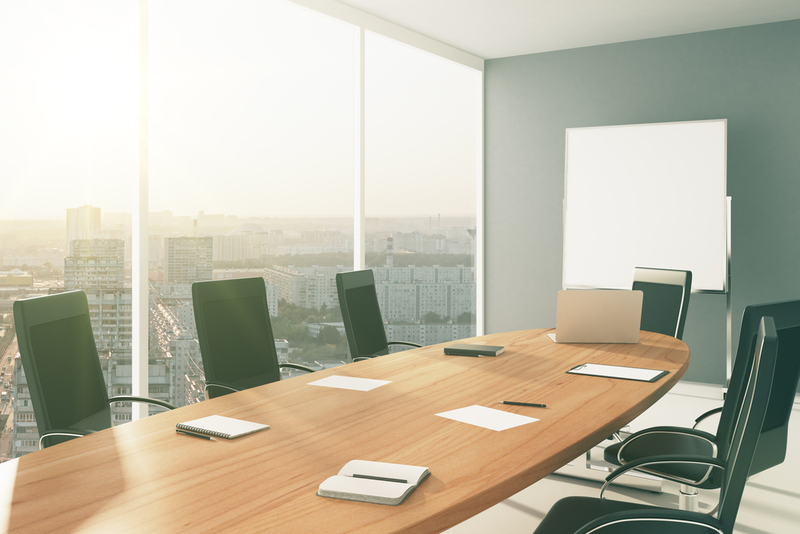 In other words, the research shows that executive pay programs are by and large well designed and are working as intended to improve alignment among company performance, the shareholder experience, and management rewards. This research is a rebuttal to the criticism that pay of most CEOs is not aligned with their company’s performance. Our most recent research of S&P500 CEOs confirms this finding yet again and offers another validation of the efficacy of the U.S. executive pay model. Realizable pay for CEOs at better performing companies in terms of TSR is considerably higher, nearly 80% higher, than for CEOs leading companies with lower TSR performance. Further, the CEOs at higher performing companies have the potential to earn significantly more than their originally intended target opportunity while delivering nearly 2X the returns to shareholders. To analyze the alignment of pay and performance, we bifurcate the group of CEOs into companies with high—i.e., above median—TSR and companies with low or below median TSR and analyze three aspects of CEO pay: (i) realizable total direct compensation (TDC), (ii) targeted TDC opportunity, and (iii) the ratio of realizable pay to pay opportunity. Each is measured over the last three reported fiscal years (2012 – 2014) and realizable pay and TSR are computed as of December 31, 2014 – the final day of the three-year period reviewed. The overall market performed well over the course of 2012 – 2014, including +16% TSR for below median performing companies. This helps explain that the median CEO across our entire sample would hold realizable TDC value worth 121% of his/her target opportunity and those CEOs at lower performing companies would still hold 101% of the target opportunity in realizable value. Nonetheless, the above table demonstrates pay for performance by highlighting that CEOs at high performing companies hold significantly greater realizable value than his/her counterparts at low performing and even more so when compared to CEOs at companies with negative three-year TSR. Specifically, the typical CEO of a high performing company, which has a median three-year TSR of 30%, can earn $47.2M in realizable TDC as of year-end 2014 from compensation awarded in 2012, 2013, and 2014. This represents 143% of originally intended target TDC opportunity. His/her counterpart at low performing companies, with a median TSR of 16%, holds $26.2M in realizable TDC or 101% of intended opportunity. Both compare to an overall median realizable TDC value of $35.3M and 121% of three years of TDC opportunity. The overall median annualized TSR for all 330 companies reviewed is 23%. By contrast, the 16 companies with negative TSR over the time period analyzed hold realizable TDC that is only 61% of intended opportunity. 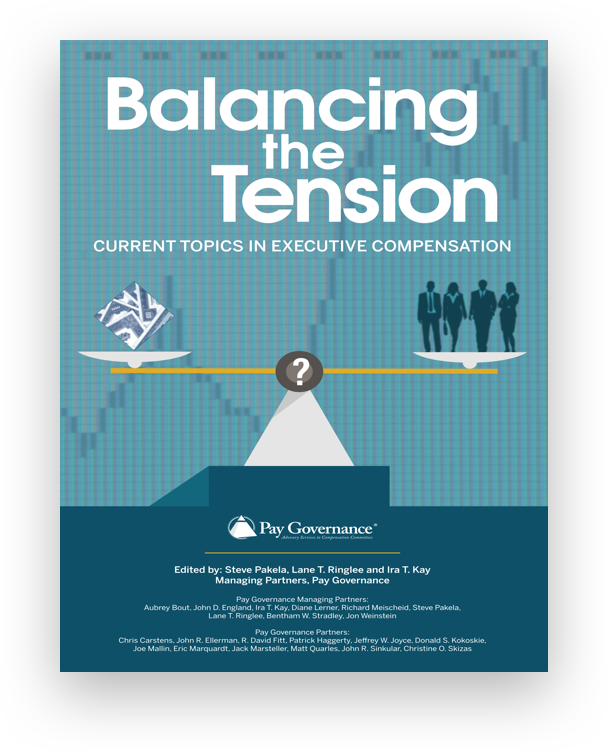 This suggests that Compensation Committees continue to design and administer executive pay programs with an appropriate mix of fixed and variable pay elements, effective use of performance conditions and metrics, and with strong alignment to shareholder results. 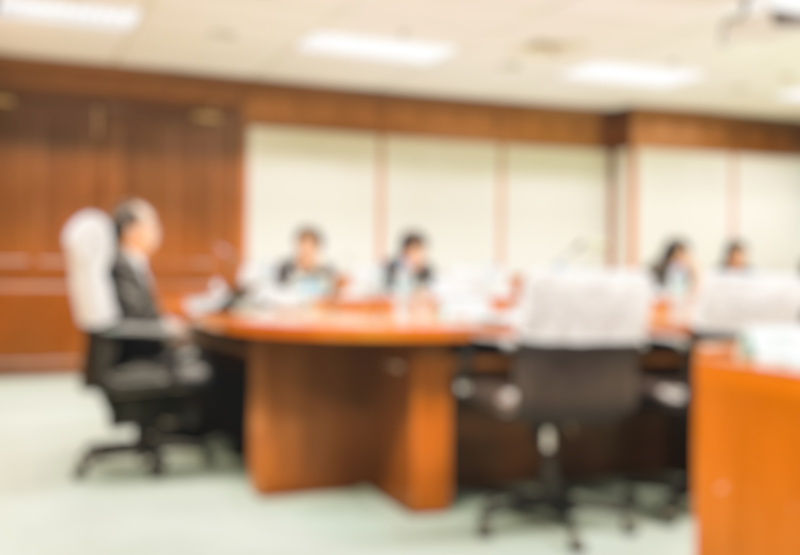 Our Boardroom experience suggests that Compensation Committees annually set executive pay opportunity (e.g., target bonus and equity grant values) based largely on competitive pay levels established by external benchmarking that depends on industry and company size parameters. Some Committees will reference historical performance in setting pay opportunity – e.g., strong 2014 performance results might result in a slight upward adjustment to 2015 target pay opportunity within a range of external competitive benchmarks. Our analysis in column D supports this. While there is much less variance in three-year aggregate pay opportunity levels between the high and low performing companies than in the realizable TDC levels in column D, CEOs at high performing companies do have target TDC opportunity that is slightly higher than their counterparts at low performing companies - $32.9M vs. $28.0M, an 18% difference. This suggests that Committees when establishing target TDC opportunity take historical performance into account to some extent but that setting pay at an externally competitive level is the primary determinant of target pay opportunity. This modest connection might be partially related to Say on Pay voting and the pay for performance models of the proxy advisors. Properly measured, there is substantial pay for performance alignment at most companies. We continue to recommend to our clients that they conduct realizable pay studies relative to their peer group and to consider whether disclosure and clear explanation of their findings in their proxies will help communicate pay for performance philosophy and outcomes to shareholders. Our sample includes the 330 S&P 500 CEOs with tenure of 3 years or more as of year-end 2014. Median revenue and market capitalization for the companies reviewed are $9.0B and $19.2B, respectively. Starting with raw proxy data sourced from Main Data Group, we analyzed realizable pay and pay opportunity for the three-year period of 2012 – 2014. Realizable pay is equal to the aggregate of each of the following for the three-year period: salary paid, bonus paid, the December 31, 2014 value of long-term incentive awards which is comprised of in-the-money value of stock options, full value of restricted stock and restricted stock units, and the projected value of performance-based long-term awards like performance share units. Payouts for performance-based award are estimated based on relative company performance elapsed during the relevant time period. Pay opportunity is equal to the aggregate of each of the following for the three-year period: salary paid, target bonus, and the total grant date fair value of long-term incentive awards as disclosed in proxy filings. All financial data is sourced from the S&P Capital IQ database. General questions about this Viewpoint can be directed to Ira Kay, Brian Lane or Brian Wilby by email at ira.kay@paygovernance.com, brian.lane@paygovernance.com or brian.wilby@paygovernance.com.